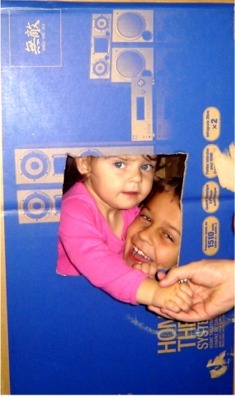 Homeschooling Preschoolers - The Best For Every Child! To preschool homeschool must be one of the most exciting things I've ever done. I've started homeschooling my son when he was only 4 years old and will neverlook back. Today he is in Grade 2. I'm still homeschooling and will soon start homeschooling my daughter. My son is now reading chapter books beautifully, fluent and with confidence. Preschool homeschool will not only make you feel a sense of accomplishment but will also assist your child with the best foundation he/she could ever have! Now, if you are new to homeschool preschool and do not know where to start, you can start with my book called "The ABC Adventure". I've created this book out of experience. I've tried a few preschool homeschool curriculum's focusing on the ABC, but there was always something short. My book has all the goodies tried and tested. I believe a child that knows his ABC and knows how to sound each letter has already won the battle to read. I believe the content in this book will help your child on a successful journey of reading and learning. My book is not original; there are many curriculums that teaches the letters of the alphabet in the same way. The difference is that I've changed the method a little bit to accommodate all my ideas that I've tested on my own child. My preschool homeschool curriculum is very easy for parents to use. You do not need any teaching experience in homeschooling. All you need is love and children. Continue being the best mom you can be. There should not be a distinct difference between normal care for your preschooler and homeschooling your preschooler. Reading to them regularly, singing nursery rhymes with them and teaching them important skills like getting dressed, tying shoes, and keeping themselves clean. Start your adventure with your kids today. You will never regret it. Stick the alphabet to the wall. If you do not have a special room for homeschooling, do this in your child's room. It should be very clear and colorful as colors do make a difference. Teach them the alphabet song, by pointing to the alphabet letters as you go along. Make sure you take your preschooler to many playdates. Children of his own age as well as other ages. I've seen that this is no problem at all when youhomeschool as the group you belong to in your region normally have kids of all ages. Take your preschooler to your local library. Teach them the basic library skills. They also need to learn that it is a quiet place! Purchase preschool software. I have Disney Mickey Mouse, Reader Rabbit. There are many to choose from. There is no need to stick just to preschool homeschool curriculums. We have the technology available. Using it wisely can only benefit your child. Use your computer for preschool online games. There are lots of websites that are just great for preschoolers. Watch TV with them. Cable gives you such a big variety. My favourite: CBeebies - very educational. Buy a curriculum, make up your own curriculum or download a proper curriculum from the internet - whichever you think is best for your family. Subscribe to our free monthly magazine and website to keep updated with all our preschool ideas and many more. Now of course I am biased here :-) but I think my onw designed cirriculm The ABC Adventure is the best. This curriculum is a combination of learning concepts, stories, activities and craft projects. We show you exactly how to teach day-by-day. No need to wonder what to do next. It is easy, simple and fun to do.The book has weekly lesson plans, including printable worksheets, crafts, rhymes, recipes and many more. I've included enough activities for each day. It is proven through research that too much formal learning can be detrimental to your kids, but using just enough of the right activities can stimulate them and interest them to learn on their own pace. Of course you want to take a look for yourslef - so I will give you the first lesson for FREE (a huge 14 pages). Get your Letter A lesson for Free. 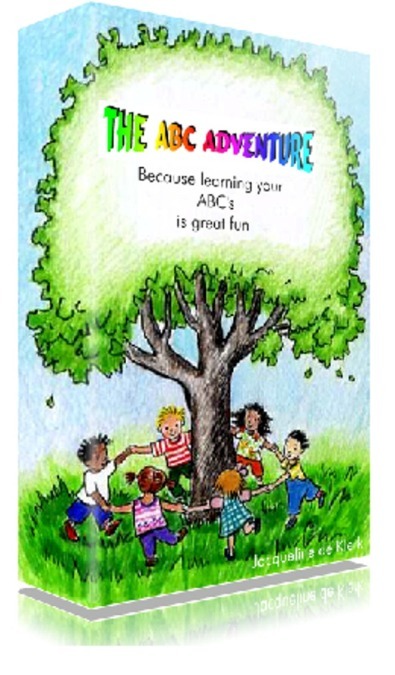 The ABC Adventure can be yours, order it now and have access to a 314-page e-book. Packed with lesson plans, activities, crafts, bible stories and many more. You can make your preschool homeschool experience last forever by choosing the right materials. PS: This is not a reading programme. It is intended to be used purely for the introduction of the letters of the alphabet in a fun and exciting way. It will surely help your child in their next step to reading. Once you've worked your way through my book, your child will be ready for a phonics program. If you are not ready for a complete preschool homeschool curriculum, then try a few Preschool Lesson Plans!